Cite this page: Gonzalez R. Hereditary hemorrhagic telangiectasia. PathologyOutlines.com website. 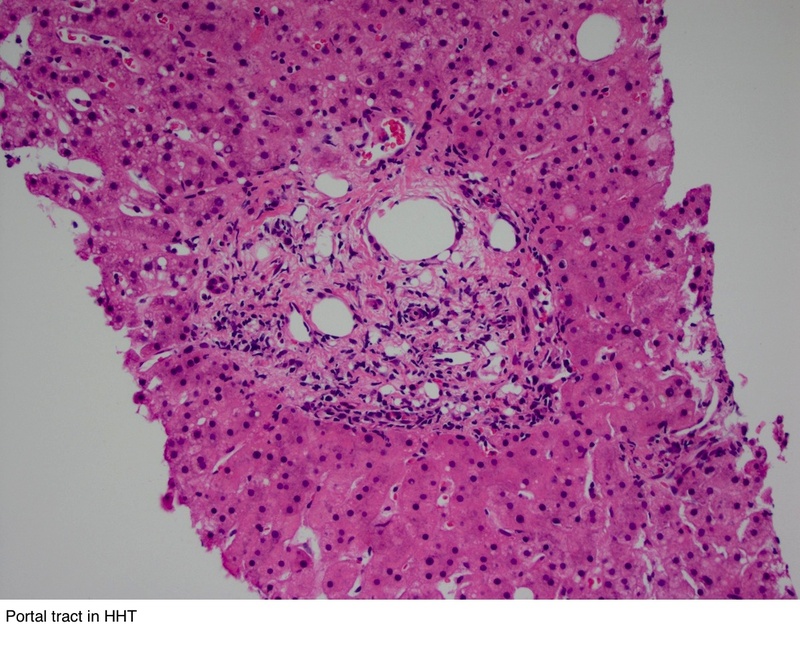 http://www.pathologyoutlines.com/topic/liverHHT.html. Accessed April 23rd, 2019. Images contributed by Raul S. Gonzalez, M.D. A patient develops high output cardiac failure with refractory epistaxis and dies. Autopsy shows numerous arteriovenous shunts throughout the liver, accompanied by sinusoidal dilation. Molecular testing on this patient would most likely show a germline mutation in which of the following genes?